Using blow dryers, flat irons, or color treatments can be damaging to your hair and making it dull, dry and brittle. Fortunately, hair masks with natural ingredients can help to restore nutrients, protein, and moisture to dry, damaged hair. You can relieve this hair problem with effective remedies using avocado, coconut oil, eggs, pumpkin, or honey. This article offers you some of the natural hair masks for damaged hair that you can start using, to restore your hair. Almonds are packed with a rich source of protein that is an essential factor for your hair structure. They contain vitamin E, an antioxidant that helps to reduce inflammation, and promote hair growth . Almonds also contain hair-friendly nutrients such as mono-fatty acids, polyunsaturated, and vitamins A, B1, B2, B6, and D. These nutrients penetrate into your hair easily and make your hair healthier and more beautiful. The combination of fats and fatty acids in almond is beneficial for softening, strengthening, and nourishing the hair. Almonds also have a high amount of magnesium, an essential mineral for a healthy hair. A lack of magnesium may cause hair loss; therefore, getting magnesium from almonds helps to promote hair growth. 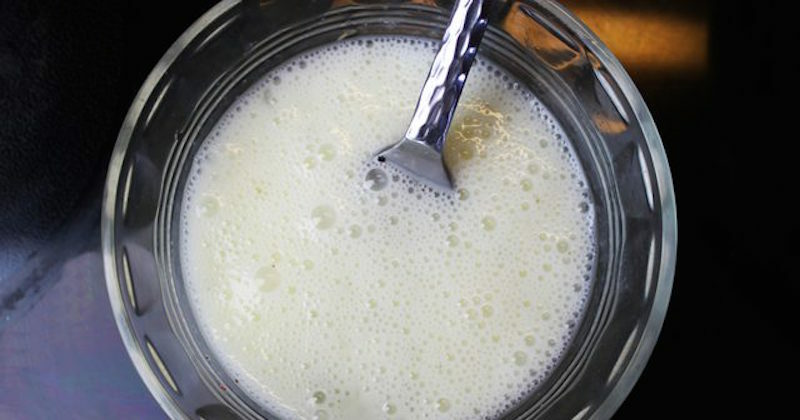 Whisk or blend the above ingredients together into a smooth mixture. Apply this mixture into your clean (washed) and damp hair, and gently massage the mixture into your scalp. Tie your hair into a bun and cover with a clean shower cap. Shampoo your hair, rinse, and follow with hair conditioner. 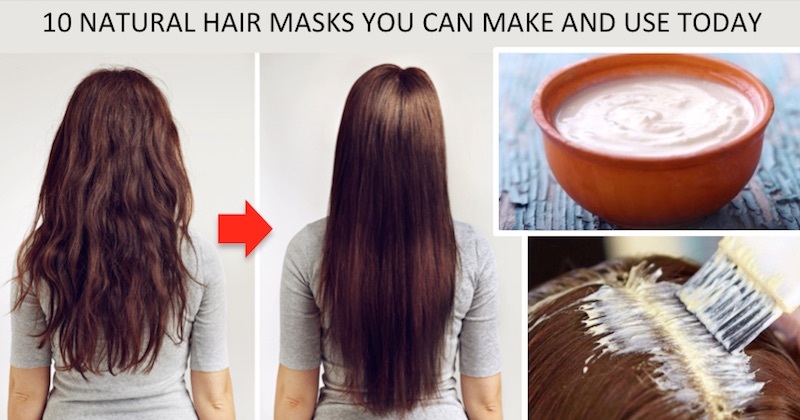 You can do this hair mask 2 or 3 times a week for best result. Pumpkin is rich in minerals such as zinc and potassium. Zinc helps to maintain collagen, which plays a key role in promoting a healthy hair, while potassium is beneficial for keeping the hair healthy and improving hair regrowth. It is rich in folate, an important type of B vitamin that can stimulate hair growth by improving blood circulation of blood. Besides, the vibrant color of this vegetable is transformed into vitamin A, which gives a protective barrier to prevent the hair from UV-ray damage. In addition, pumpkin helps to condition and rehydrate the hair well. 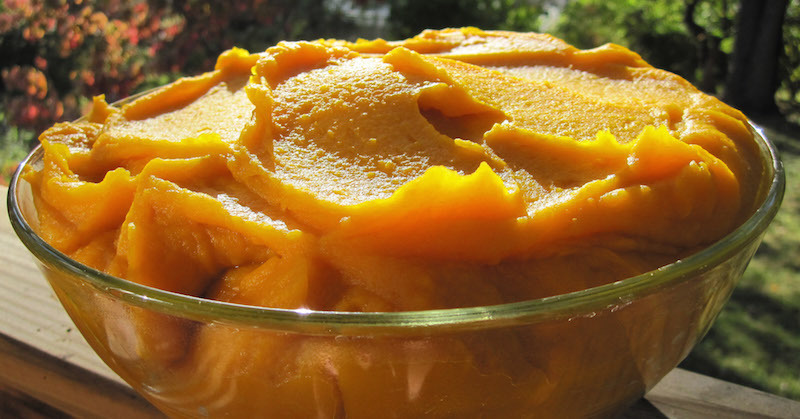 To make your pumpkin paste: preboil the pumpkin, and put several chunks in a processor and blend till smooth. Put the pumpkin paste into a bowl. Add yogurt and honey to this bowl and stir them well to get a smooth mixture. Finally, apply a hair oil to lock in the moisture. We recommend this Argan oil. Coconut oil is beneficial for protecting the natural proteins in the hair. This is great for women who lack protein in the hair follicles . Vitamin E in coconut oil offers antioxidant effects, and the lauric acid in it helps the emollient effects of honey penetrate into the hair deeply . Coconut oil is also rich in antioxidants, contains antiviral, antibacterial, and antifungal properties. When used on the hair, it helps to improve scalp health, fight fungus and scalp problems, reduce dandruff, promote hair growth and add volume and shine to your hair. Warm it lightly over very low heat on a stove. 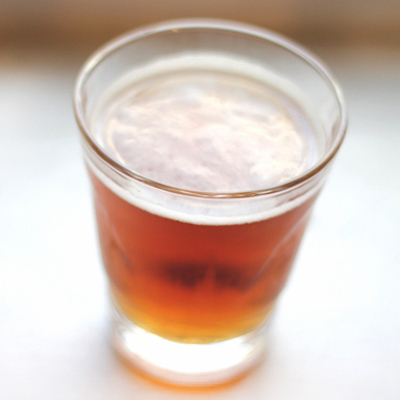 Beer contains proteins that aid in repairing damaged hair and restoring its structure. The B vitamins, maltose, corn, wheat, and rice protein in beer help to regrow the hair and strengthen it. The sucrose content enhances the natural shine of the hair by tightening the hair cuticles. Surprisingly, it also contains biotin, the most important vitamin that supports healthy hair growth, prevents hair loss removes dandruff. 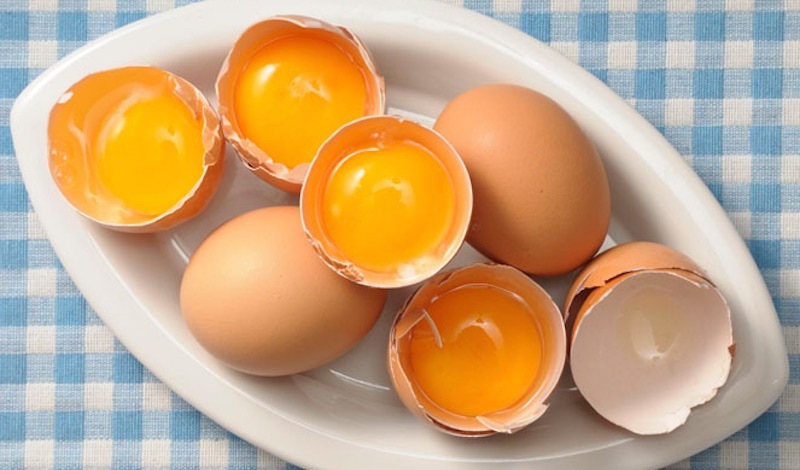 Damaged hair needs protein for repair, and eggs are one of the richest sources of protein to fulfill this need. In addition to proteins and enzymes, it also contains lecithin, micronutrients, and vitamins. The vitamin D content helps to prevent hair fall . Its moisturizing effect helps to fix damaged hair effectively. Eggs also strengthen and nourish weak hair, which will leave your hair feeling silky and smooth. Whisk egg yolks, olive oil and lemon juice to form a smooth mixture. Olive oil contains a rich source of omega-3 fatty acids that play a key role in hair growth, strength, and shine. They also contain antioxidants that help to fight off free radicals that cause premature hair greying . Avocado contains proteins that help to stimulate hair growth. It also soothes a dry scalp and moisturizes dry hair. 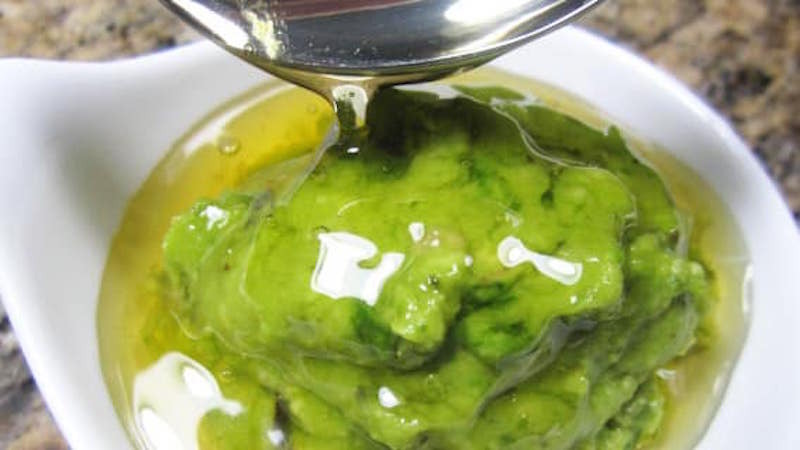 Mash the avocado in a bowl, then add olive oil to it and whisk to a smooth paste. Lemon juice helps to absorb the grease and oil from your hair. It also aids in cleansing the hair from substances such as dust. 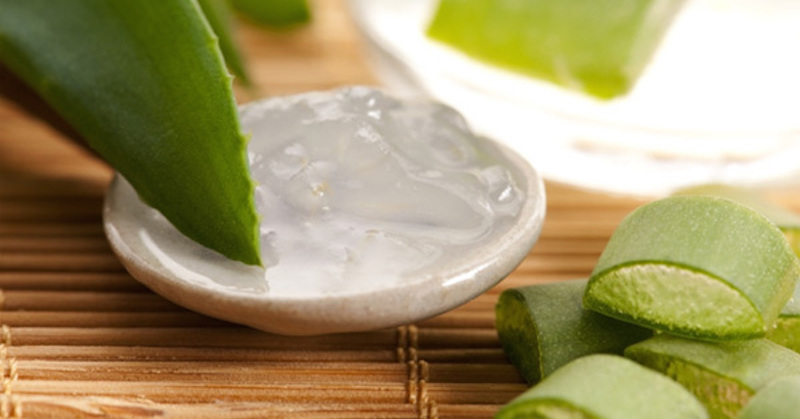 Honey works as an antiseptic while aloe vera is enriched with vitamin E that promotes hair regrowth. This mixture is beneficial for repairing damaged hair. Mix the above ingredients in a blender and blend till you get a smooth texture. Apple cider vinegar helps to stimulate better blood circulation to your scalp, which is vital for promoting hair growth and stopping hair loss. Moreover, this blood carries nutrients to your hair follicle cells, which strengthens the roots and promote regrowth. In addition, this vinegar balances the pH level, restoring a proper acidity to your scalp. It also cleanses the hair & scalp without stripping away much natural oil. Honey helps to seal in moisture and give you a lustrous hair. Extract the juice of one lemon. Add apple cider vinegar, honey, and the lemon juice in a bowl. Is your hair fragile and brittle? If so, you will love this hair mask. Bananas help to improve hair condition, strengthen hair and prevent premature hair aging. 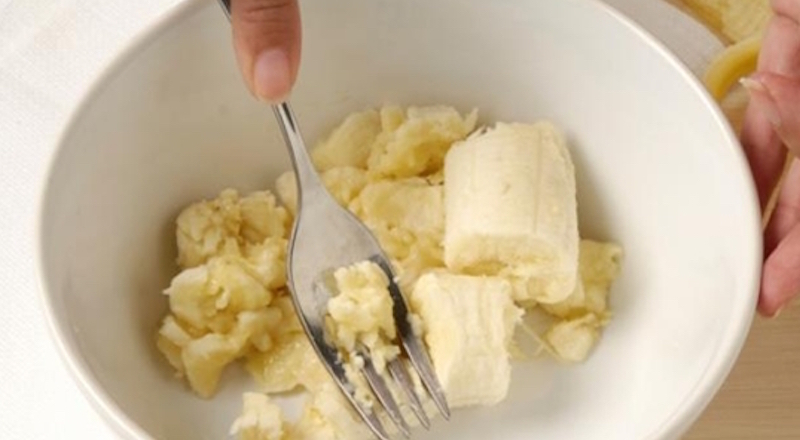 Bananas even contain biotin that encourages healthy hair regrowth . Bananas are abundant in antioxidants and potassium, all of which help to repair damaged hair. It also makes your hair feel smooth and soft. Mix all of the above ingredients in a blender and blend to a smooth paste. 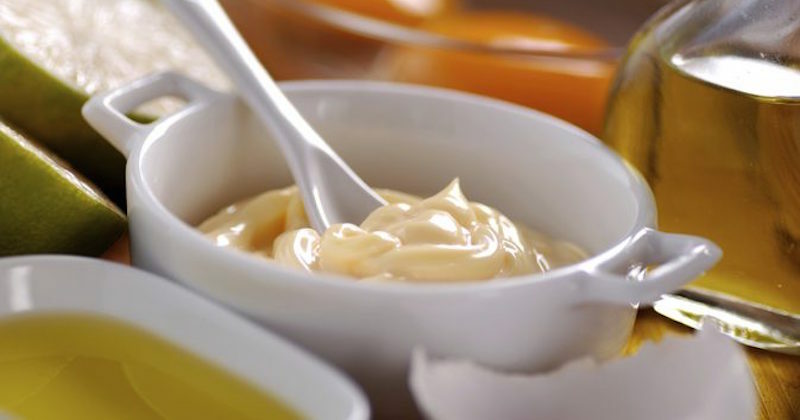 Lipids in mayonnaise are beneficial for absorbing moisture and supply fatty acids that nourish hair follicles. Mayonnaise also contains the goodness of egg yolks, oils, and vinegar, all of which work together to moisturize and nourish your hair. 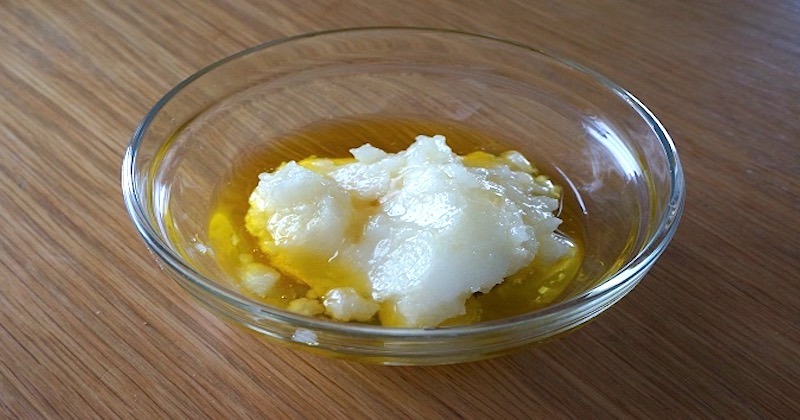 The amino acid in mayonnaise, called L-cysteine, helps to nourish your scalp to enhance healthy hair growth. Combine all of the above ingredients in a blender and blend to a smooth paste. You may already have most or all of the above ingredients in your kitchen. Put them to good use right away, and let us know how it works for you!